Over the last 14 years, Cape Town-based Cape Kingdom Nutraceuticals has been harnessing the power of the Buchu plant, which is indigenous to South Africa’s Western Cape. In a proudly South African move, the company has now signed a benefit-sharing agreement with the San and Khoisan people. The partnership between Cape Kingdom, the South African San Council (SASC) and the National Khoisan Council (NKC) acknowledges that the San and Khoisan’s medical knowledge and use of the Buchu plant predates that of any other inhabitants of the country. Because the San and Khoisan are the traditional holders of knowledge about the plant’s medicinal properties, the agreement stipulates that they are entitled to a fair share of the benefits accrued by its commercial development. Speaking on the day the agreement was signed, Andries Steenkamp, Chairman of the SASC, said that it was one for the history books. 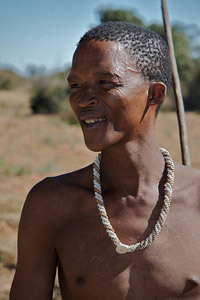 The San people live close to nature as part of their way of life, said Steenkamp, and it is this practice that they are proud to share with the rest of the country and, ultimately, the world. Echoing the thoughts of Steenkamp, Cecil LeFleur, Chairperson of the NKC, said that he and the rest of the council are proud and excited to be a part of the process. He believes that this partnership with Cape Kingdom will benefit the San and Khoisan people, contributing to cultural development and empowerment. As well as sharing commercial profits, Cape Kingdom Nutraceuticals has agreed to share the knowledge it gains about the plant through scientific research and analysis with the San and Khoisan. From their side, the San and Khoisan will endorse the company’s products and assist in marketing where appropriate. Used by South Africa’s oldest inhabitants as far back as the 17th century, the Buchu plant is known to treat various conditions. These include, but aren’t limited to, diabetes, hypertension, inflammation of the muscles and joints, urinary tract infections and obesity. In an effort to establish irrefutable scientific proof of the plant’s medical efficacy, Cape Kingdom Nutraceuticals has enlisted prominent scientific research institutions to conduct analytical research and clinical trials on extracts from the plant. Among the groups enlisted by the company to research the plant are Tygerberg Hospital, Professor Tim Noakes from the University of Cape Town, Professor Patrick Bouic of Synexa Life Sciences and M. Thiollet of Hôpital de Pessac, in France. 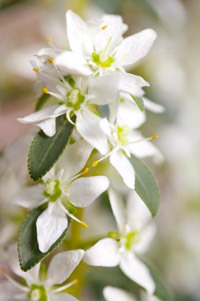 Cape Kingdom extracts the essential oil from the Buchu plant using a completely natural process. This essential oil is then used in a range of products, from gels and capsules to flavoured Buchu water. Various bioflavonoids, antioxidants and vitamins occur naturally in the plant’s oil. Among these are diosmin, rutin, quercetin and vitamins A, B and E. These all contribute to the plant’s medicinal properties.